Our company is looked upon for the manufacturing and supplying of premium range of Packaging Material. 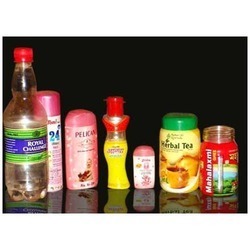 We are offering diverse range of Packaging Materials, including Packaging Foils, Packaging Pouches and PVC Shrink Film. This Packaging Material is manufactured from high grade raw materials, ensuring high quality standards of the product. Our Packaging Material is very much appreciated for providing protection and preservation of the products, resistance to tampering and durability. We are offering customized range of Packaging Material, as per the needs of the client. Avail this Packaging Material in bulk, at most competitive prices. We specialized in manufacturing and supplying wide range of Shrink PVC Film. These are developed as per international standards and are widely acclaimed for their “shelf-appeal” and excellent finish. With the availability in various attractive designs, finish, patterns and textures, these Shrink PVC Film are available at market leading rate. Our company is engaged in offering a wide range of PVC Shrink Film, developed as per international quality standards. Our PVC Shrink Film is very much appreciated for its features like shelf appeal, excellent designs, patterns and finishes. 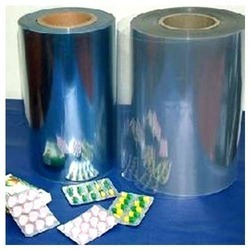 Avail the customized range of PVC Shrink Films from us at most reasonable rates. 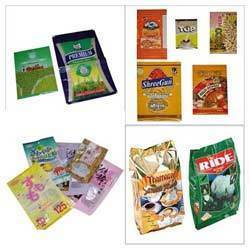 We are instrumental in offering an extensive range of Packaging Pouches for the clients. These Packaging Pouches are designed and processed using materials with high strength, ensuring international quality standards. Our Packaging Pouches are widely appreciated for their leak proof design and excellent quality. We are offering Packaging Pouches at competitive prices for the client.